The rugged coastline and imposing mountains that dominate the Welsh landscape provide the perfect environment for the fabulous golf courses of Wales. With over 200 courses to choose from Welsh golf has something to offer everybody from classic links land tests to newer championship parkland layouts. The North Welsh Coast offers some outstanding links golf starting with Conwy, a challenging course that ticks all the boxes of a traditional seaside test and is an excellent test of golf. Across the estuary of the river Conwy are the two courses at Llandudno, North Wales and Maesdu, nestled on the West Shore with panoramic vistas of the North Wales coastline. A trip across the Menai Bridge to Anglesey will be rewarded by three fine courses in Anglesey, Holyhead and Bull Bay. Holyhead and Bull Bay are laid out along the islands rugged coastline and offer some dramatic cliff top golf amidst stunning scenery. The tour of the north is completed by one of the most dramatic courses in the whole of the United Kingdom, Nefyn & District. Situated along jutting clifftops, the landscape naturally creates a string of golf holes that will live long in the memory of all visitors. Equally memorable are the delightful courses of Pwllehli and Porthmadog both layouts that mix parkland with some truly classic links golf. Moving into Mid Wales golfers should head to Harlech to play the famed Royal St. Davids Golf Club. Situated in the shadow of the 13th Century castle the golf course has been described as the world's toughest par 69 by many professionals. The closing stretch of holes is so narrow that many players will be glad to reach the clubhouse. Another traditional links can be found at Aberdovey, where steep bunkers, blind shots classic terrain combine for a great seaside test. 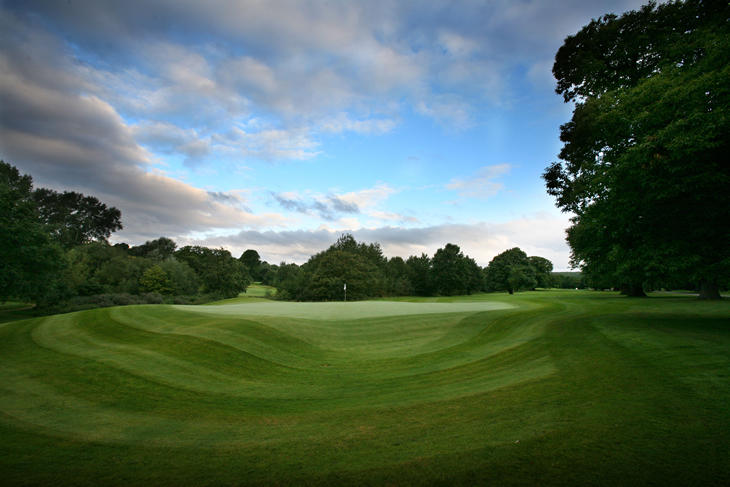 For a different golfing challenge look no further than Llandrindod Wells, shaped by both Harry Vardon and James Braid, set on a heath and moorland plateau over 1000ft above sea level. In the South West corner of the country on the beautiful Pembrokeshire Coast you will find the birthplace of Welsh golf at Tenby, a throwback links land test in a traditional seaside town. Ashburnham Golf Club is rightly regarded as one of the countries finest links with a series of holes that are up there amongst the very best. Moving inland you will find the Gower Golf Club, a Donald Steel design that is amongst the finest Welsh inland courses. Machynys Peninsula is a new layout overlooking Carmarthen Bay and offers the standards you would expect from any Jack Nicklaus design. Heading towards the Welsh capital of Cardiff golfers are given a glimpse of both the tradition and the future of Welsh golf. The majestic Royal Porthcawl is a links where the sea is never out of the players sight and truly deserves it's place amongst the world's top courses. Host to a number of top events you will not find many who argue against it being the number one course in the principality. Another links definitely worth visiting is Pyle & Kenfig whose inward half is laid out on trademark linksland terrain. Very different in character is the championship parkland resort, Celtic Manor. The flagship Twenty Ten course has led the way in putting Welsh golf on the twenty first century map, hosting the 2010 Ryder Cup and bringing a new level of recognition to golf in Wales. The course itself is a true championship test, featuring water on half of the holes and offering a level of risk and reward perfectly suited to drama of match play golf. Championship quality parkland golf is also available at both The Vale Resort and Marriott St Pierre where high levels of service match the manicured fairways and greens. Although when talking about Welsh golf courses, those mentioned above sometimes grab the headlines, the greatest impression left of golf in Wales is of the wide variety of different styles available for golfers to play, all set amidst the dramatic Welsh countryside.